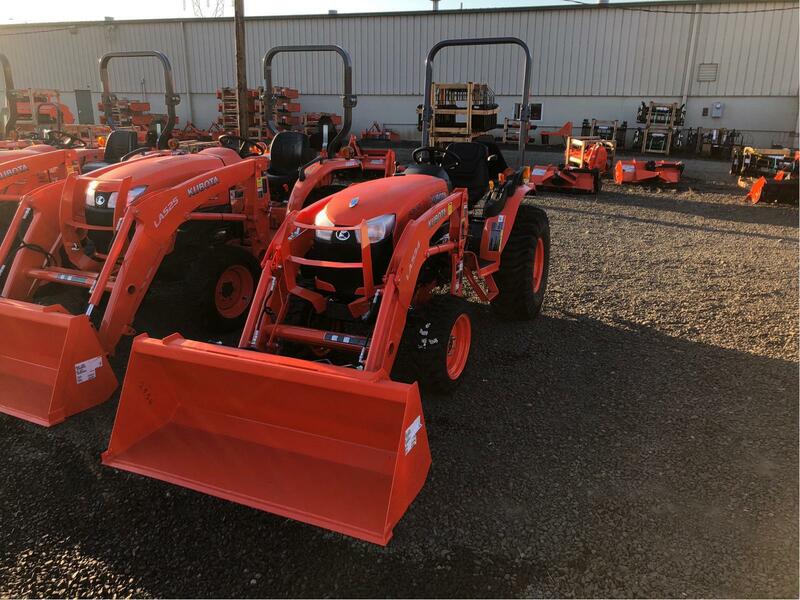 Our price includes rimguard ballast in the rear tires and a front loader with a quick attach bucket. 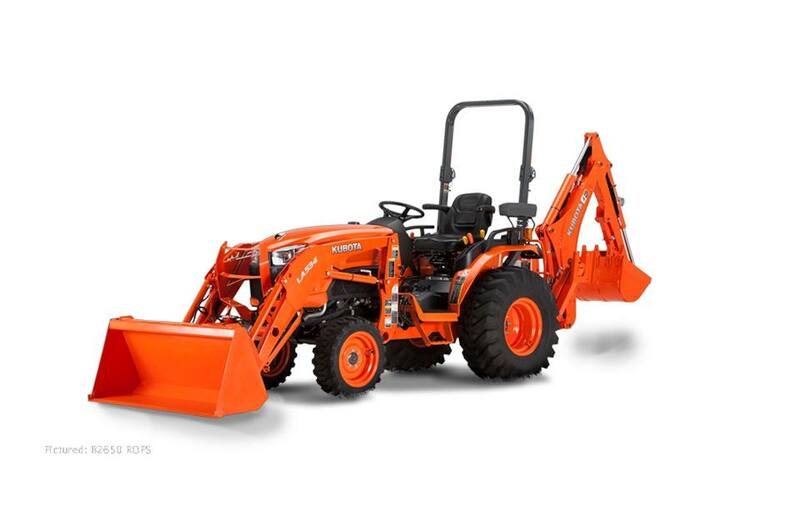 Cleaner Emissions Kubota Diesel Engines: The B50 series diesel engines are built for greater power with cleaner emissions. 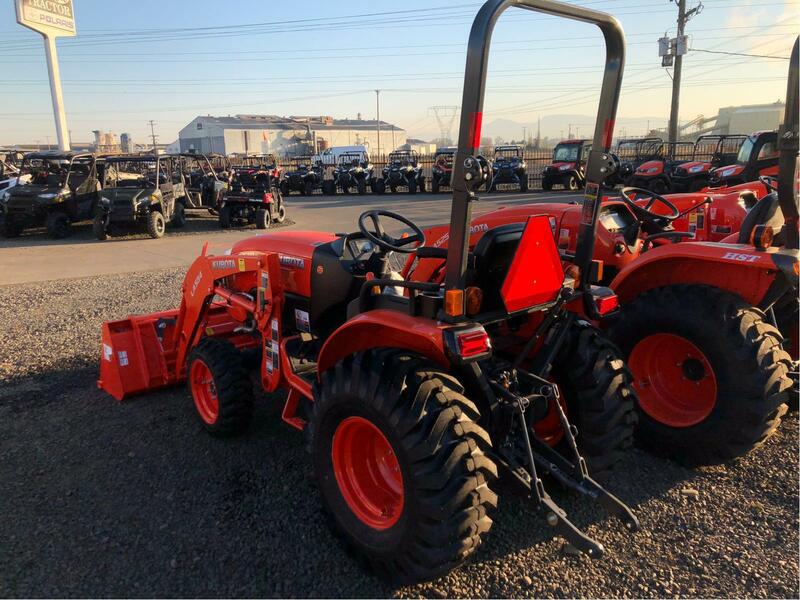 The B3350's liquid- cooled E-TVCS (Emission-Three Vortex Combustion System) engine delivers increased power and high torque for the tractor strength you need, while significantly lowering emissions. The Diesel Particulate Filter (DPF) Muffler reduces emissions to ensure its compliance with the latest Tier 4 emission regulations. 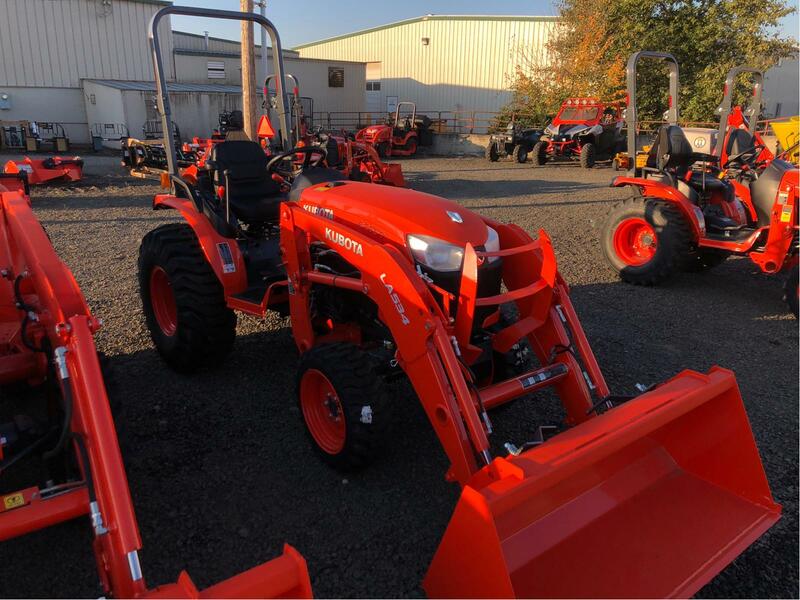 Kubota HST Transmission: Clutch-less for easy operation, our proven 3-range transmission provides optimal speeds to match your job. Choose Low range when you need extra power at low speed. Mid range for normal operations, and High range for transporting place to place. In addition, the brake pedal is positioned on the left side. PTO Power: The B50 series provides the extra strength required for tough tasks with 19.5 and 27 HP, the highest PTO horsepower ever for a B-Series tractor. Telescoping Stabilizers: Easily adjust the horizontal sway of the implement by aligning and setting the pin in the proper hole. Telescopic Lowerlink Ends (optional): Intelligently designed telescopic lowerlink ends make attaching and detaching implements quicker than ever. Ratchet-Type Lift Rod (optional): Ratchet-type lift rod allows speedy adjustments to 3-point mounted implements. Lift rod adjustments can be made with ease. Mid-PTO: The offset Mid-PTO allows quick installation and removal of the mid-count mower. LCD Panel: The easy-to-read LCD digital panel offers vital information about the tractor at a glance. Tilt- Steering Wheel: The steering wheel tilts up and down to give you a more comfortable driving position. Hydraulic Power Steering: This feature provides nimble handling while greatly reducing fatigue during prolonged operation. One Piece Metal Hood: The front grill and newly designed headlamps are now integrated with the hood for easier opening and closing and more convenient access to the engine. Deluxe Suspension Seat: The new suspension seat is specifically designed to absorb shock reducing operator fatigue to make your ride comfortable no matter what the conditions. Arm rests are standard equipment for added comfort. Cup holder: Convenient cup holder to store beverages. 12V Socket & Compartment: Convenient to charge electronic accessories. Tool Box: Convenient to store tools, pins or personal items. 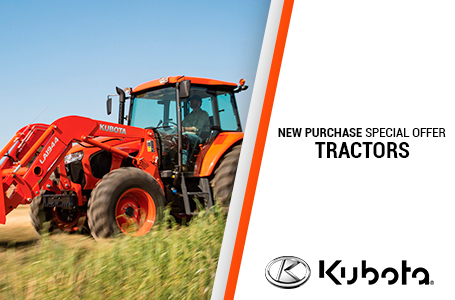 Cruise Control: Kubota's cruise control keeps your working speed constant.